Style Icon Pharrell Williams and rapper Verbal are featured are on the cover of Ollie January 2013. Both artist have made a big impact in the fashion industry and this cover shows off both personas impeccably. Great way to start off the new year. When hurricane Sandy hit in late October, the Balenciaga New York flagship in Chelsea endured heavy damages. The store is still temporarily closed for repairs. The label recently announced a 2,000-square-foot seasonal store on Wooster Street in Soho, that will launch in time to showcase the pre-spring 2013 collection. American fashion designer Jeremy Scott has collaborated with the pint size auto brand, Smart. The design has a glossy white exterior with Scott’s signature wings, that light up red and spreads from the back of the car. The frost interior has a high quality quilted leather, with harness seat-belts. Scott anticipates that “cool kids” who want something unique and eye-catching will be lined up for this limited Smart car that will be available 2013. This model has not been priced as yet, but the designer stated that Kanye West had to have it after showing him the designs at a private dinner in Paris. 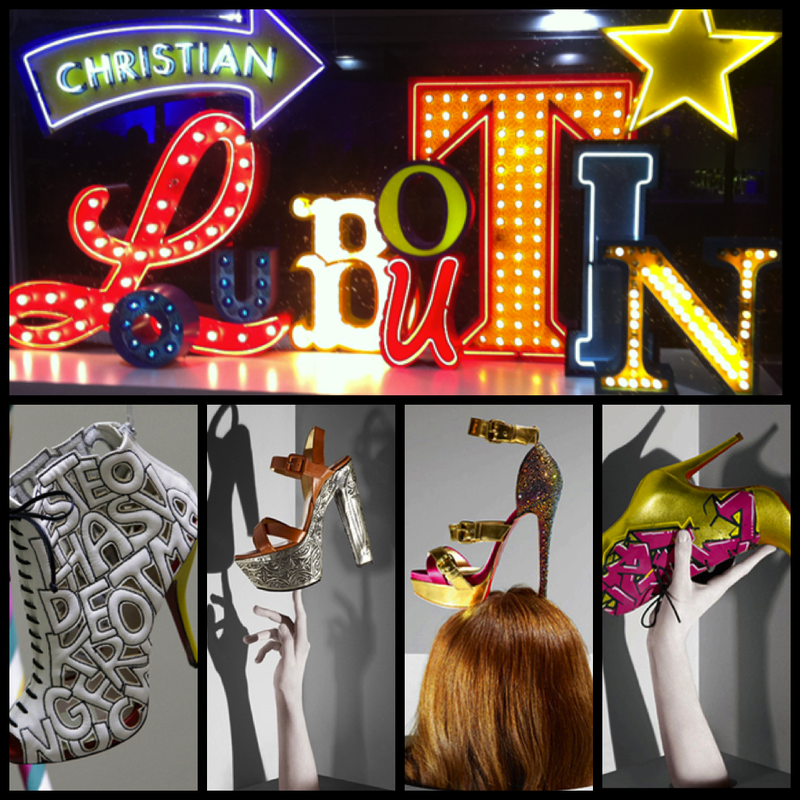 Any fashion or shoe enthusiast is familiar with Christian Louboutin’s iconic red sole. The designer’s work for the past 20 years will be showcased at Canada’s Design Museum in Toronto from June 21 – September 15, 2013. The exhibit will explore his path as a creative being with artistic inspiration drawn from all parts of life. “Be taken on a magical journey of style, glamour, power, femininity, and elegance”, is the slogan trailing the exhibit. The upstart New York label Hood by Air, is no stranger to bold logos and graphics. Designer Shayne Oliver’s pieces have been in rotation on A$AP Rocky along with other celebs. This Poodle combo T-shirt as seen on Rihanna is being sold exclusively on Vfiles.com, it retails for $198. Over the past couple of years camouflage has taken a spot all its own in the fashion world. But its grown to new heights in the upscale realm of fashion. Socialite and designer Sir Nick Wooster has been the Camo-man for years. Incorporating camouflage into his everyday clean suited looks. Now people like artist, designer and music producer Pharrell Williams have jumped into the upscale camo pool. Pharrell was seen wearing a custom camo jacket with black contrast lapel and below the knee shorts by Moncler Gamme Bleu. Ronnie Fieg (owner of Kith NYC) has also been playing with camouflage in an upscale manner, on his new collaboration boot with Doc Martens. Ronnie mixes two tones of camouflage with ox blood leather on a six hole “Bowery Boot”. Honestly I am very intrigued and inspired by this new trend. 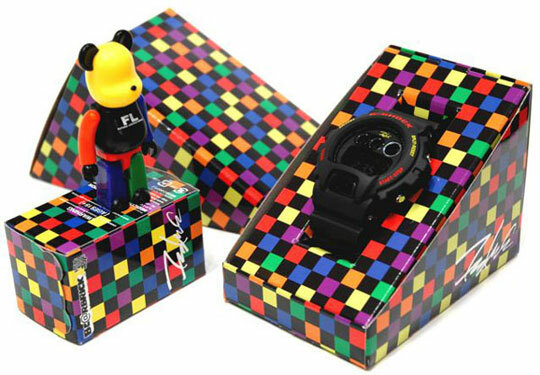 Japanese company MediCom Toy Incorporated whom designs and produces Be@rbrick has collaborated with G-Shock yet again, with the trademark graphic strategically placed on the DW-6900 band and back-light. The watch will be released February 2013 and will be sold exclusively at the G-Shock store in NYC.